The Comptroller and Auditor General of India (CAG) has slammed the Gujarat government for “rampant poaching” at Nal Sarovar Bird Sanctuary near Ahmedabad and in other parts of the state, and also rapped it for not taking adequate steps for protecting wetlands. In a report on “Economic Sector” tabled in the Assembly Thursday, India’s top most auditor took a serious note of the incidents of poaching happening at Nal Sarovar, a sanctuary spread over 120 sq km that was declared a Ramsar site in September 2012. 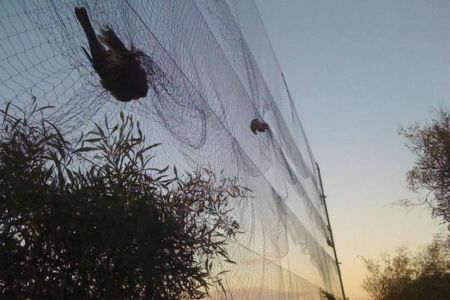 “The poachers install trapping nets in the night for catching birds. Night patrolling team of Deputy Conservator of Forests, Nal Sarovar caught 6,559 nets installed by poachers during the period 2010-15. This showed that poaching could not be adequately controlled,” the report said. “There were 18 cases of poaching, trapping or killing or birds and animals reported at Nal Sarovar during 2010-15 in which 39 nets, 180 dead and live birds were caught by the forest department. There was no use of night vision binoculars and other modern technology surveillance equipment… Instead of night vision binoculars, a prime requirement for patrolling during night, purchase of ordinary binoculars had led of inadequate surveillance,” it added. As the bird sanctuary was spread over a large area, the CAG observed, the forest department should “use modern technology to curb poaching” because manual surveillance might not be enough. 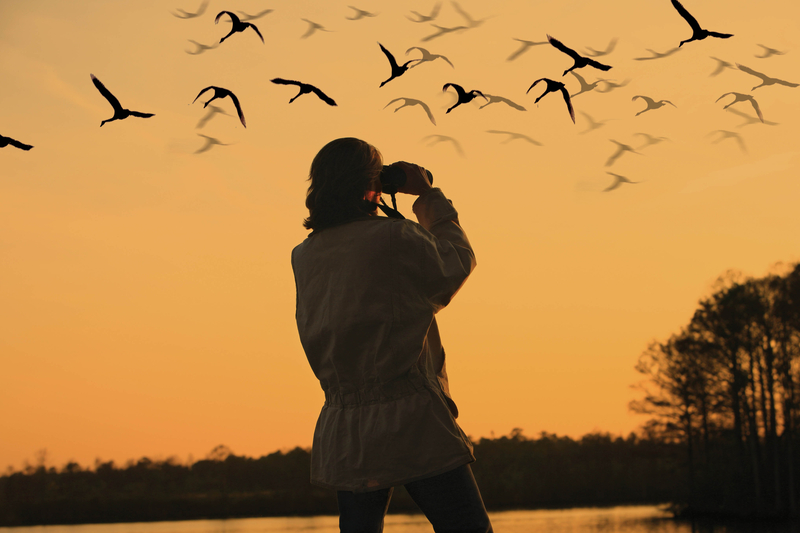 “The bird viewing facilities were not upgraded and there were no arrangements for aesthetical and safe boating for bird viewing at Nal Sarovar. 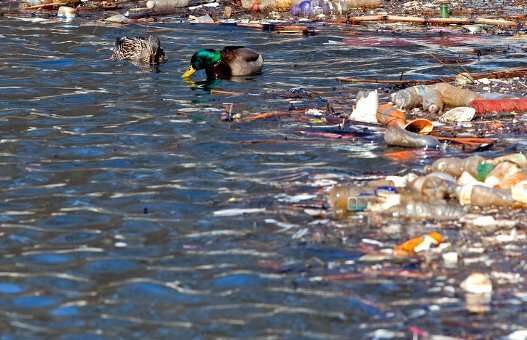 The viewers were left at the mercy of private boat owners who used old, shabby and uncovered boats,” the report stated, simultaneously observing that the Interpretation Centre, constructed in 2009 for providing information about the winged visitors, was not functional. The audit report also mentioned about uncontrolled poaching in Wadhwana wetlands near Vadodara. However, there were no details. 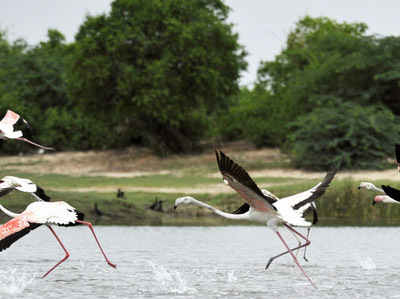 “We observed that the forest department in December 2012 had reported one major incidence of poaching near Velasar village in Maliya-Miyana taluka of Rajkot district where a heap of body parts of 33 slaughtered flamingos were found… This indicates that surveillance may not be adequate and possibility of more such cases of poaching going unnoticed cannot be ruled out,” the CAG stated. The auditor also criticised the Gujarat government for not forming a “State Wetland Conservation Authority” as envisaged in the guidelines of National Wetland Conservation Programme. “There was no policy framed by the forest department for wetlands other than those identified as having national importance (there are eight such wetlands). Further, 19 wetlands identified by the Gujarat State Biodiversity Board deserved to be declared of national importance. But they were not declared by the department or conserved accordingly,” the report said. It also criticised the state government for “not providing adequate funds in the Budget estimates for conservation activities.” “The government mainly relied upon funds released by Government of India and short release of fund was not met from the state fund. 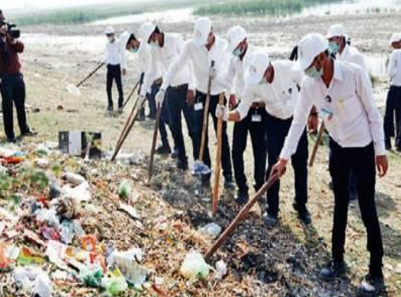 Though, some activities were carried out under other state schemes, conservation of activities of wetland of national importance in the state remained inadequate,” the CAG observed. 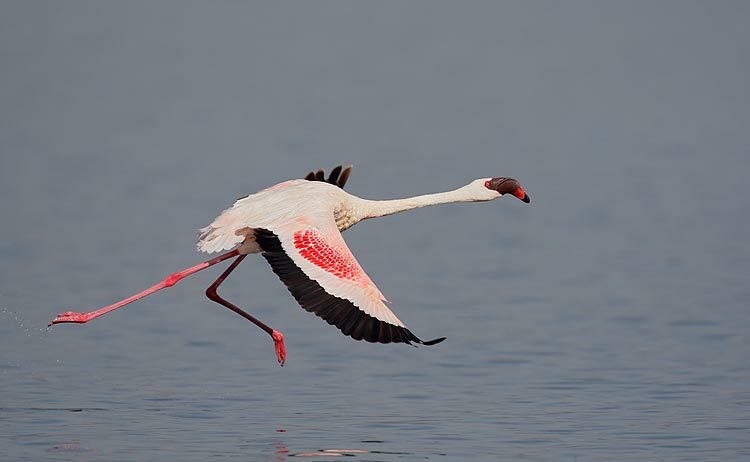 It also pointed out that baseline data of migratory birds that was essential to determine the changes in population sizes were not maintained at eight wetlands of national importance — Nal Sarovar, Thol, Khijadiya, Wadhwana, Great Rann of Kutch (GRK), Little Rann of Kutch (LRK), Pariej Lake and Nani Kakrad. “Bird Rescue Centres were not set up in LRK, GRK and Pariej, while centres in Nal Sarovar and Thol did not have required facilities,” the report added.